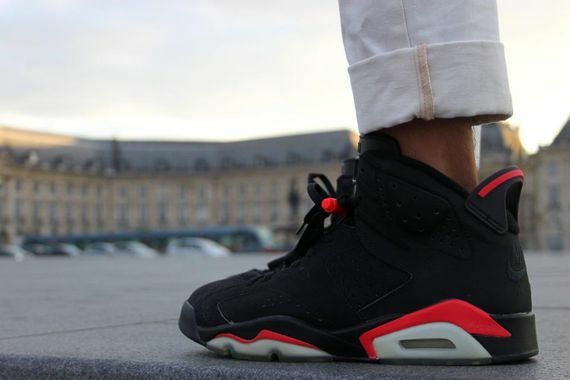 The Air Jordan 6 “Infrared” is another retro slated for 2014. What happens on the 23rd anniversary of a classic? Nonstop OG Re-releases and now that we’ve learned about the Air Jordan VI “White Infrared” Returning, It’s “Black Infrared” counterpart will be accompanying this classic in Spring of next year. 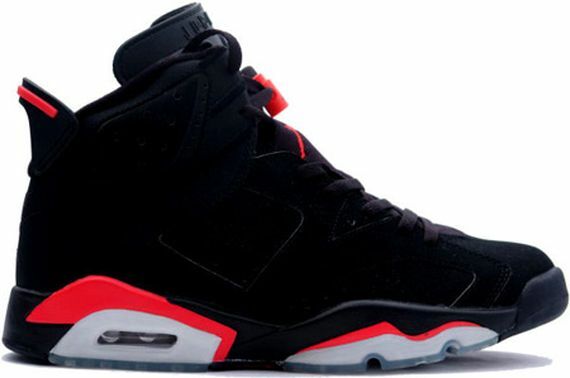 The Air Jordan 6 “Infrared” last released in 2010 alongside the White Infrared and soon, you won’t have to be dropping $350 to cop these joints rather $160 – nearly half of what retail was to purchase these last time (Infrared Pack). For those still looking for a pair, might as well wait until next year to avoid those ridiculous reseller prices. Let us know if you’re anticipated this release next year. sounds good but i want the oxy xiv or the indiglo..come on jb!! make it happen!!! is this a certain thing? No its not! We’re not sure yet, hopefully they will.! will it have the Nike swoosh on the back?